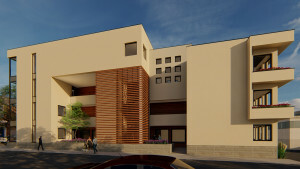 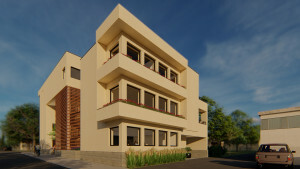 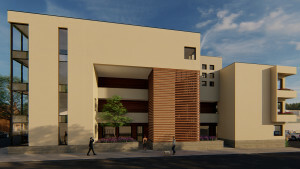 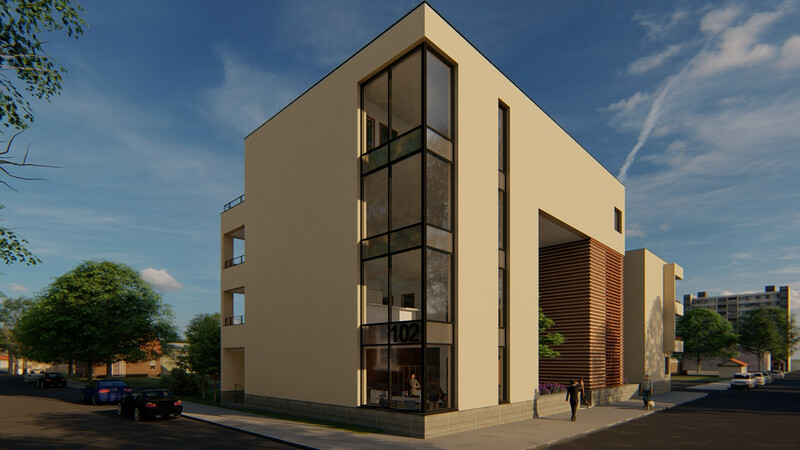 This midrise project, located in the downtown core district of Coeur d'Alene, Idaho, features three office suites at street level, five residences above, and a parking garage below. 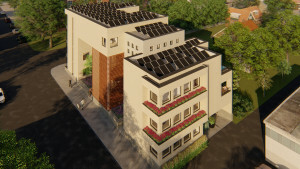 Designed to high performance passivhaus technologies for comfort and value, it will generate more energy than it uses most of the year (40,000 KWh annually), so each parking space will have a charger for electric vehicles. 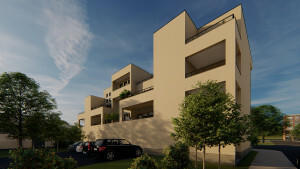 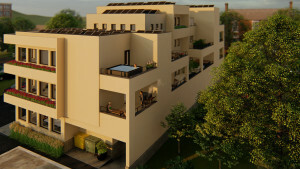 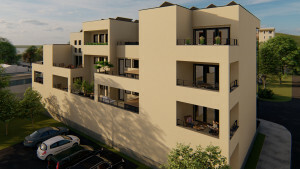 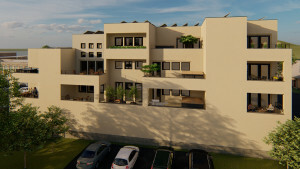 Each of the residences feature unique designs, all including secure outside decks.